Opening her veil to the rest of the world for the first time, the Kingdom of Saudi Arabia is now showing up on travel lists. With the recent series of measures aimed at empowering women and opening Saudi society, Saudi Arabia finds itself on the global map. From business travellers participating in the economic resurgence by the Kingdom’s move away from oil dependence to intrepid travellers, all eyes are on this hot spot! 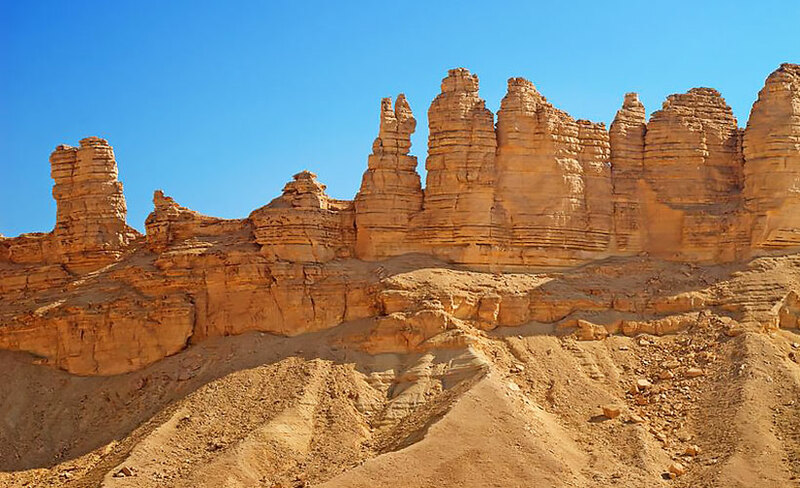 Unbeknownst to many, Saudi Arabia is also home to phenomenal unspoilt natural beauty. 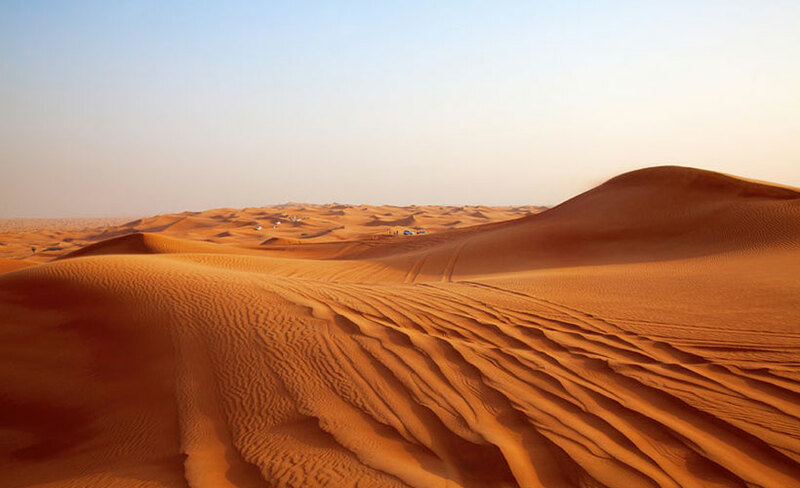 Think misty mountains that are snow-capped in winter, or the Rub Al Khali’s (the Empty Quarter’s) sand dunes of every hue and never-ending desert, or aquamarine and pristine beaches with some of the world’s best coral reefs. Riyadh, the country’s capital, is a sprawling metropolis. It’s a beautiful city still in the making, aiming to position itself as a metro with world-class facilities, currently undergoing a transformation from a sleepy conservative desert capital to a bustling, modern, and well-governed city. 1. The weather blows hot. And cold. Yes, it gets hot in the summer. By this I mean burning hot, with daytime temperatures regularly rising to 50° Celsius. You probably know this already, though. So here’s one of the best-kept secrets: for the rest of the year, the weather is quite beautiful. The fall sees warm days, and pleasant evenings give way to chilly winters with the temperatures dipping into the single digits. You’ll see residents embrace the outdoors and fill their evenings with picnics, barbecues, and camp-outs only to welcome the milder spring when the desert flowers are in bloom. The best time to visit is any time from November to April. This is when local tour operators offer a wide array of activities all over the country. Dust storms typically herald the onset of summer, and come in from the north-westerly front, but you can pretty much be hit by one anytime of the year. When the city is in the throes of a moderate to severe dust storm, stay indoors as much as possible. If you need to venture out, stay in the car cover your face with a scarf, and wear dark glasses. Strong winds carry the dust everywhere, so visibility is often reduced to a few feet. Take particular caution if you suffer from asthma or are prone to respiratory allergies. The airport is located 35 kilometres north from the city centre. This translates to a 45-minute drive unless traffic is exceptionally bad, which it can be during peak hours. Riyadh is served by a modern highway system. The main Eastern Ring Road connects the city’s south and north, while the Northern Ring Road connects the city’s east and west. 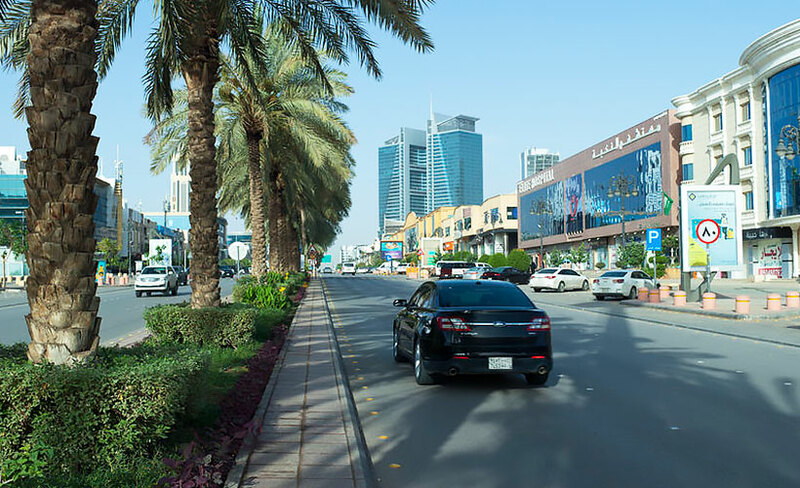 King Fahd Road and Olaya Roads are two main thoroughfares that run through the city centre from north to south, in parallel with the East Ring Road. Shining new skyscrapers dot the skyline along these roads, and the main business district is found here. Three tall standing stalwarts merit mention: The Faisaliah Towers, the Iconic Kingdom Tower (Al Mamlaka), and the Burj Rafal. Al Faisaliyah was the first skyscraper to be built here, and it graces the skyline with an unusual, shimmering beauty. The golden ball that lies atop the pointed tower is said to be inspired by a ballpoint pen. The Kingdom Tower, with its award-winning and modern design boasts a Sky Bridge on the 99th floor that’s open to public, and offers breathtaking views of Riyadh. The Burj Rafal is quite simply the tallest kid on the block. Between the glittering lights at night and the gorgeous desert sunsets, it’s difficult to decide which view is better. All three buildings house 5-star hotels and decks that provide wonderful views of the city. Tahlia Street in downtown Riyadh is the city’s high street. 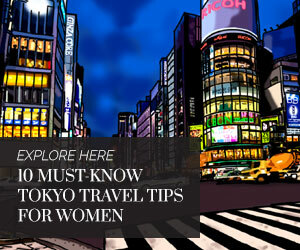 It’s lined with trendy sports cafés, restaurants, and eateries. It’s also where the youngsters like to hang out. With avenues for entertainment being limited, the shopping experience grew to fill this space. 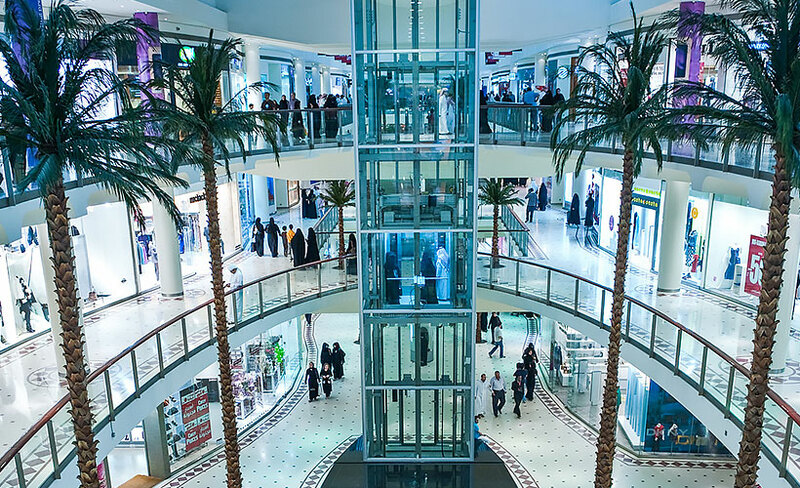 While Riyadh may lack the grandeur and organised decadence of Downtown Dubai, the city has a mall, boutique, or souk to fit any budget or taste. The scene here is dominated by massive malls, all of which feature a vast range of shops, restaurants, and theme parks, which means that many of them are all-day adventures in and of themselves. Nakheel and Granada are two of the most popular shopping centres, with both combining fast and high fashion with family-friendly fun. The amusement park in Granada is a highlight for those with kids. For the traveller with more discerning or refined tastes (this is Saudi Arabia, after all), there are high end outlets all over the city. The biggest clusters can be found in Centria and Kingdom malls on Olaya. Expect to find brands such as Louis Vuitton, Rolex, and Saint Laurent. Oh, and Kingdom of Saudi Arabia special editions too, making your exclusive find even rarer! However, if the shopping experience you’re looking for is more for artisanal artefacts than Prada purses, Riyadh’s traditional souks are where to go. These atmospheric souks situated in the heart of the city offer an escape from the glass and concrete jungle, and give you the opportunity to explore parts of Saudi culture that visitors seldom get to see. Riyadh’s souks give you a chance to step away from the rapid modernisation of the country, and experience an ancient culture that is steeped in tradition. 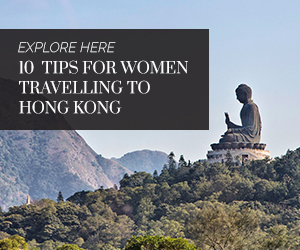 Here, you’ll find robed men and veiled women selling everything from precious gold jewellery to aromatic oud incense. Keep an eye out for spice markets and pre-owned watch markets, perfume bazaars and fine Arabian carpets. For more incentive, at mealtimes, you can find enterprising Saudi women selling home-cooked local food from stalls on the pavements. Insider tip: Bedouin cuisine is outstanding and markedly different from the typical Arab fare. So definitely try it! Deerah Souk, situated in the old parts of Riyadh, is one of the city’s oldest. It’s next to the Masmak Fortress where, in 1902, a young Ibn Saud and his small band of loyal soldiers crept up after dawn prayers and captured the governor, heralding the beginning of the Kingdom of Saudi Arabia as we know it today. The original door still stands with the mark of Ibn Saud’s sword. The gold souk at Deerah, Thumairy St, has some of Riyadh’s oldest gold stores, and the corridors beside it is crammed with carpets, antiques, and other knick-knacks. The streets and alleyways around the souk are filled with local shops. Often, an entire street specialises in a particular offering, like Saudi winter coats or handcrafted Madas Sharqi sandals worn by Saudi men and of course, spices and perfumes. The sprawling Kuwaiti and Tayba souks downtown near the Financial District are where you’ll find the locals shopping for just about everything they need – home ware, clothes, traditional medicines, furniture, jewellery, and then some. For now, the answer quite simply is the abaya (robe-like outerwear). While regulations surrounding the public dress code are slowly liberalising, Saudi Arabia remains an intrinsically conservative nation, and this is very much reflected in the way people dress. It remains mandatory for women to wear the abaya in public. This is a shoulder-to-ankle gown that you put on over your outfit anytime you are in public to ‘protect your modesty’. Abayas were typically black in colour, but as public opinion around the severity of the dress code relaxes, Saudi designers are getting creative. Nowadays, you’ll see stunning abayas in many hues on the streets. In fact, if you’re looking to mix up your wardrobe, many designer abayas are gorgeous garments in their own right. With intricate embroidery overlaying luscious satin, they combine oriental grace with Parisian luxury. The dress code for men is, unsurprisingly, much less restrictive. Riyadh throws up an array of dishes from local street food to high end (and very pricey) fine dining. With expatriates of many nationalities living in Saudi Arabia, you can find pretty much any cuisine you want. The most popular street food is the shawarma (thin cuts of meat) served with fries, brine pickles, and a garlic mayonnaise locally called thom, which is ever-present and finger licking good. Try one and you’re hooked. Falafel (vegetable patty) wraps are the popular vegetarian option. Close in competition for the unofficial national street food title comes Broasted Chicken and the rice-based kabsa and mandi. A host of salads and dips, of Arabic/Mediterranean origin such as hummus (chickpea dip), stuffed vine leaves, fattoush (bread salad), and muttabal (roasted eggplant) are available everywhere. The local bread is a flatbread called khubs and tameez, quite like the pita bread. It’s freshly made in street side bakeries or freshly packaged in any store. A lot of the time, it’ll find its way to your table, unannounced, with anything else you order. Local Saudi cuisine is becoming increasingly popular. An iconic restaurant called Najd Village serves authentic Saudi food of the Najd Reign in a quintessential village setting. Dining here is an experience unto itself. Looking for something more familiar? Well-known and loved brands such as McDonalds, Shake Shack, Five Guys for that special burger, iHop, the newly-opened Cheesecake Factory, and PF Chang’s are just some of the international chains firing up Riyadh’s palates. Indian and Pakistani food is everywhere. Catering to the expatriate community, they range from hole-in-the-wall stores serving inexpensive, spicy, hearty fare to mid-range and fine dining restaurants with celebrity chefs and fusion food. Like the Anardana at Mövenpick, Asha’s, or Maharaja by Vineet. Most standalone restaurants have a single section and a family section. Women, whether single or with a mixed group, need to use the family section. It’s coffee time all day in Saudi Arabia! The local brew, or qahwah, is an aromatic blend of coffee with cardamom, saffron, and other additives. The recipes vary widely, and a good qahwah is hailed as a matter of pride. 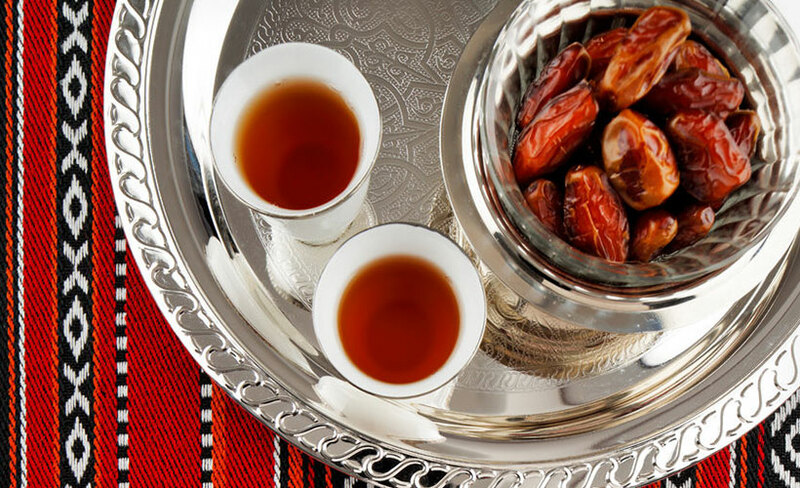 Served in small qahwah cups (the size of a shot glass), they’re always accompanied by a small bowl of dates. Traditionally served in a dallah, the iconic coffee pot is a great souvenir to take back, as are a box of dates. Smoking shisha (water pipes) is extremely popular. There are many many shisha bars where local men sit around in the evenings smoking shisha and drinking qahwah. In public, this is usually a men’s only thing. But shishas are equally popular among women who get together in more private gatherings. Diriyah, spread over 50 acres, is a living heritage museum and a UNESCO World Heritage Site in Northwest Riyadh that is an absolute must-see. Still under development, the site was the original seat of the Saudi royal family. The adobe structures are in the Najdi architectural style, and the enclave includes the remains of many palaces and an urban ensemble that borders on the ad-Dir’iyah oasis. The palaces are being refurbished and are expected to be opened to the public soon. A drive through the area, even in its current form, beside the beautiful Wadi Hanifa (Valley) is a great way to get a taste of how life once was. The Al Bujairi Square has shops and restaurants, and is very popular with visitors and locals. In the winter and spring, the people of Riyadh head outdoors in hordes. One can hire a campsite with a tent and spend an evening or weekend with family and friends. There are sites of stunning natural beauty such as the Edge of the World. This dramatic drop at the edge of the escarpment is a two-hour drive from Riyadh, and easily one of the best experiences you can have. There are sites of Neolithic stone art all over Saudi Arabia. Qaryat Al Musayqirah, about two hours from Riyadh, is a great example. The art form, dating from about 10,000 to 3000 BCE, even features water buffaloes – a testament to the fact that the Arabian Peninsula wasn’t always the arid desert it is today. Falcon hunting is another activity popular in the winter, where you are driven out into the desert and introduced to hunting falcons and can watch them hunt their bird of prey. The National Museum in central Riyadh holds some great treasures and is worth a visit for those interested in the history of this region. Public entertainment was almost non-existent here. It’s only in early 2018 that the ban on cinemas was lifted. There are currently two multi-screen theatres in the snazzy Riyadh Park Mall, and the Financial District in the north of Riyadh, but plans are well underway to scale up. At the time of writing, standalone tourist visas have been announced, but the modalities are yet to be made public. Women over the age of 25 can now travel to Saudi Arabia without a male family member or companion, but women under 25 must be accompanied. Riyadh has a number of 3- to 5-star hotels where women can stay. 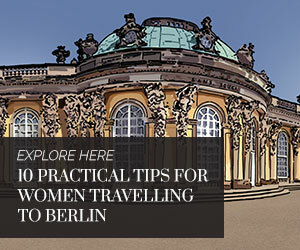 It’s advisable to stick to more established hotel chains, until local hotels become better prepared to meet the requirements of lady travellers. Getting around Riyadh is very easy. White limousines (taxis) can be hailed on the road, and Uber and Careem provide easy, efficient. and very safe services. It’s not common to walk to one’s destination in Riyadh, partly because of the weather and the distance (nothing is really ‘round the corner’), but also because there isn’t much of a walking culture. All visitors are advised to keep their ID handy, such as your passport with the relevant visa. There may be spot checks or roadblocks, and you’re required to have a valid identifying document on hand. The language on the streets is Arabic, but most shopkeepers do speak a smattering or more of English. Women are now allowed to drive in the country, and an international driving license allows you to hire and drive a car here. That said, driving tends to be challenging here, and it’s advisable to go slow if you do. A new metro line is expected to be introduced next year, and much of Riyadh’s streets are currently dug up or closed. Saudis are extremely friendly and hospitable, and always happy to chat with you. Inevitably, you’ll be offered mint tea (shai) or qahwa, and asked about your family. Remember, however, that the Kingdom of Saudi Arabia remains a highly conservative Islamic society. It’s important and courteous to respect their culture. Alcohol, public displays of affection between genders, and showing of skin in public are strictly frowned upon. Not everyone is happy being photographed, so please ask for permission before taking out your phone or camera. Keep in mind that the weekend falls on Friday and Saturday. Almost everything will be closed on Friday mornings till the noon prayer. Malls and stores tend to be open till 10 or 11pm. Stores and restaurants will be closed for prayer times (for about 15 to 20 minutes). You will not be permitted to enter a store or restaurant when it is closed for salah (prayer). You may stay in the restaurant, but orders will not be taken or executed while it’s prayer time. Likewise for retail outlets, where some of the larger departmental stores may permit you to stay inside during prayer time, but cash registers will be closed. Other shops may require you to wait outside. Gender segregation in public spaces starts at the airport and is common throughout the city. This doesn’t stop the women of Riyadh from enjoying the city on their own and in each other’s company as they wait for more freedoms to be enjoyed together. Nandita loves to travel and usually falls in love with the most recent place she visits. She has lived and worked in Saudi Arabia for many years and has travelled extensively within Saudi Arabia, amongst the first to experience the unspoiled beauty of the country.